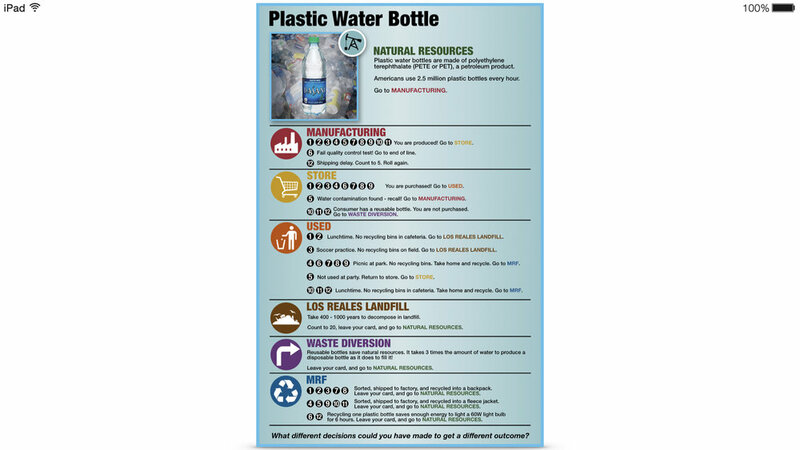 Since 2002, E3 has created and delivered educational programs on recycling and waste reduction. Too Good to Throw Away! 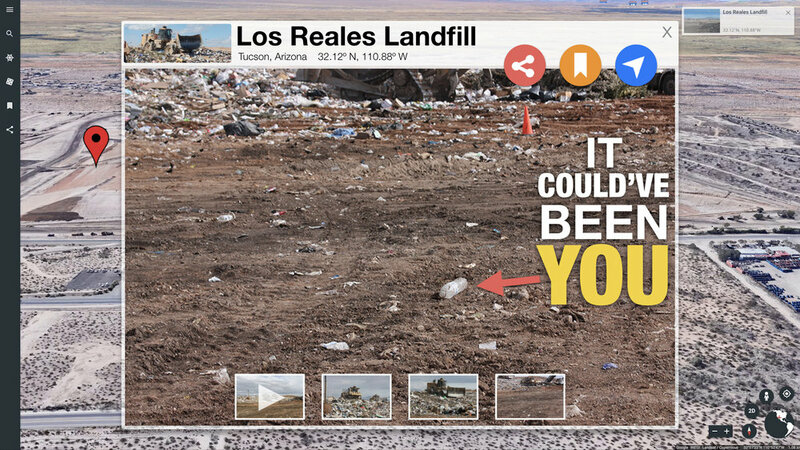 and Talking Trash in Tucson are elementary and middle school classroom presentations, and Meet the Materials Recovery Facility (MRF) is a youth and adult program delivered on-site at the Republic Services Materials Recovery Facility in Tucson. Over 113,000 students have been reached through our partnerships with City of Tucson Environmental Services, Town of Queen Creek, and Republic Services. Too Good to Throw Away! 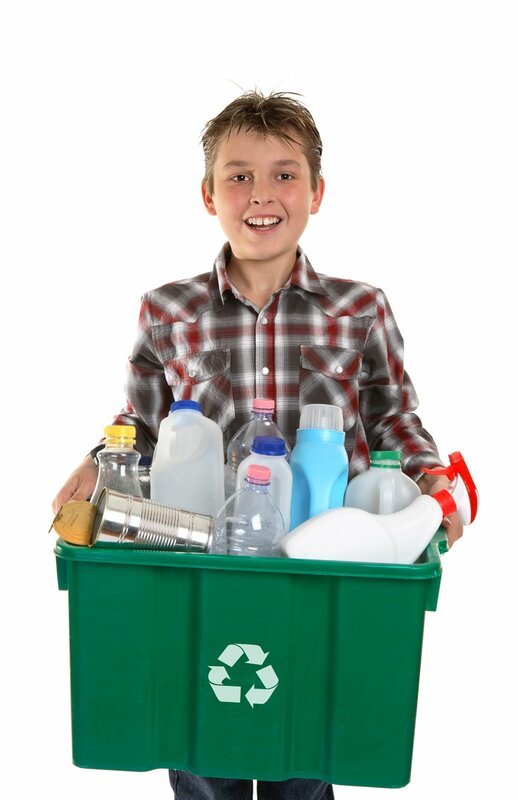 is a recycling education program designed for 1st-5th grade students to learn about and practice the 3Rs: reduce, reuse, and recycle – and have FUN in the process. The program, which is customized for grades 1-2 and grades 3-5, includes three related activities and an interactive one-hour classroom presentation, providing practical knowledge and skills that will help students make intelligent decisions now and in the future. Each student receives a pencil made from recycled paper at the end of the classroom presentation. The presentation and related activities are aligned with ADE standards. Too Good to Throw Away! is sponsored by City of Tucson Environmental Services and offered free of charge to schools located within Tucson city limits. Queen Creek's Too Good to Throw Away! Queen Creek's Too Good to Throw Away! 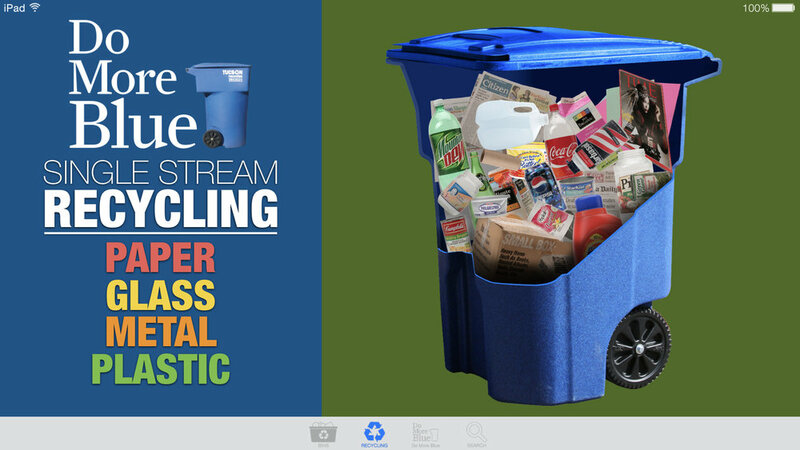 is a recycling education program designed for 3rd-4th grade students to learn about and practice the 3Rs: reduce, reuse, and recycle – and have FUN in the process. The program includes three related activities and an interactive 55-minute classroom presentation, providing practical knowledge and skills that will help students make intelligent decisions now and in the future. The presentation and related activities are aligned with ADE standards. Queen Creek's Too Good to Throw Away! is sponsored by Town of Queen Creek and offered free of charge to schools within Queen Creek service boundaries. 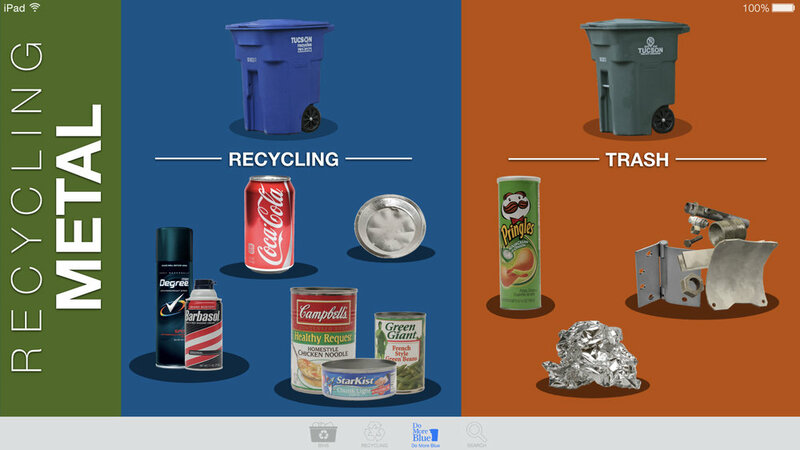 Talking Trash in Tucson is a recycling education program designed for 6th-8th grade students in the City of Tucson. 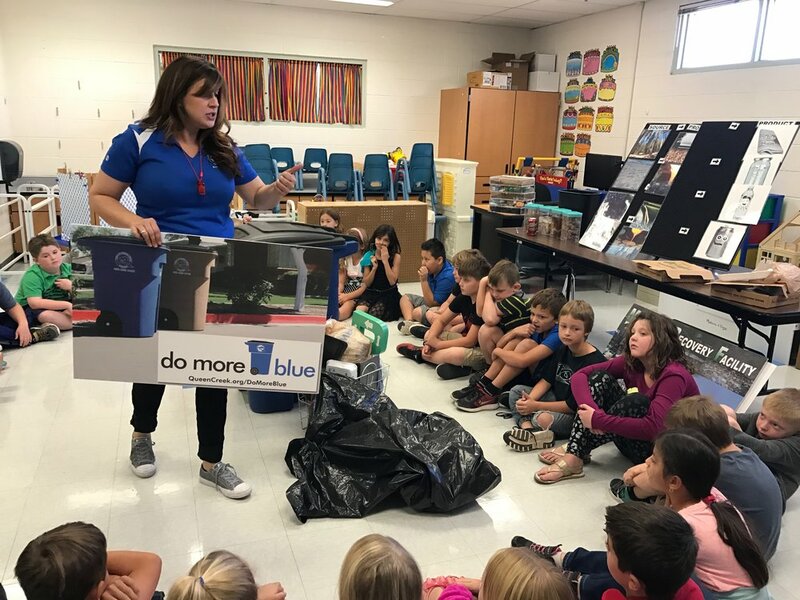 Students learn about the Do More Blue recycling program, the 3Rs and waste diversion, and how to take action to make a difference in their decisions related to the waste they generate. 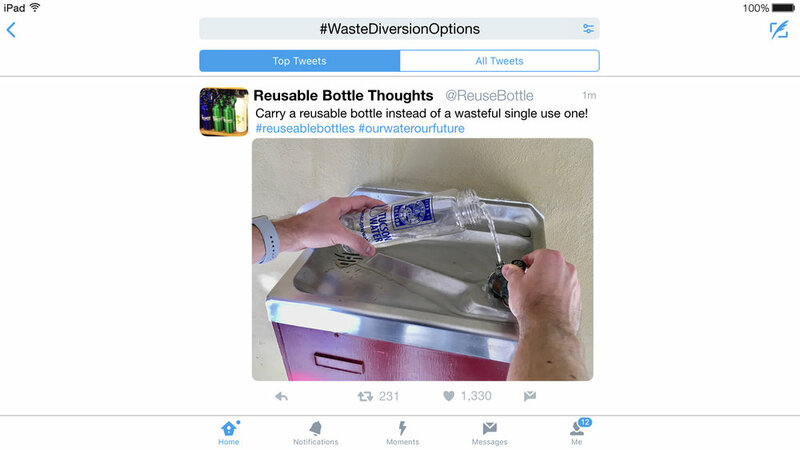 Talking Trash in Tucson includes related lessons and a hands-on and interactive classroom presentation (designed to fit into a typical 50-60 minute classroom period), all aligned with ADE standards. Students can enter the Do More Blue Everyday poster contest in which the winning entry will be enlarged and displayed on a City of Tucson collection truck. 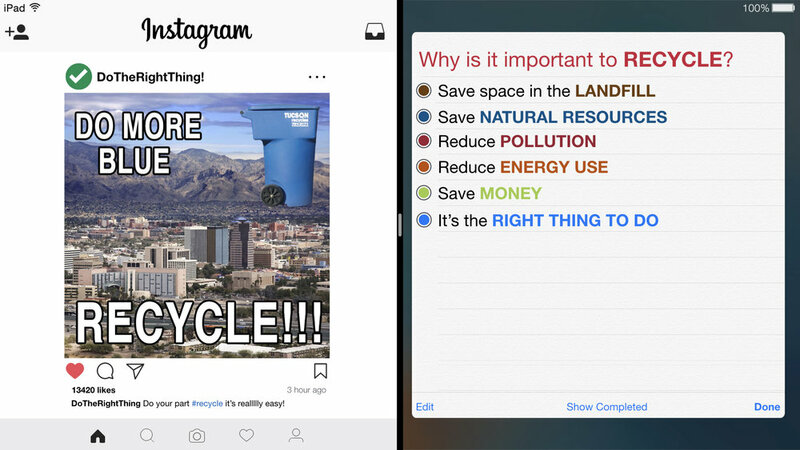 Talking Trash in Tucson is sponsored by City of Tucson Environmental Services and offered free of charge to schools located with the Tucson city limits. Meet the Materials Recovery Facility (MRF) is a free educational program for school and adult groups. This 1.5-hour presentation takes place in the MRF’s Education Center, where participants engage in hands-on activities to learn what can be recycled in Tucson, how recyclables are sorted at the MRF, what types of products are made from recycled materials, and how recycling benefits our community and the environment. 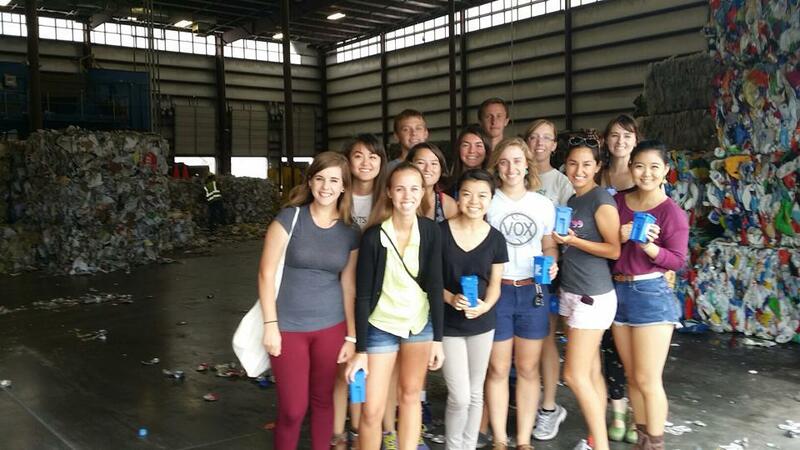 Participants also view equipment and staff sorting and processing recyclable materials. Meet the MRF is sponsored by Republic Services and offered free of charge to participating groups in the Tucson area.